Author Jack Covert is founder of 800-CEO-READ, a firm that helps authors navigate the world of book sales. From advertising and promotion to shipping and customization, they help authors understand the marketplace and make the best decisions for their unique objectives and situation. Jack talks about his start in the publishing world, how he co-wrote The 100 Best Business Books of All Time, and what authors need to successful sell books. Business books have only been popular since the 80’s. What do you think fueled their popularity? Timing: sometime after the grim 70’s and Reagan came into power, Chrysler started turning around. Then, Tom Peters wrote In Search of Excellence and Waterman wrote a really readable interesting book. I think that had a lot to do with it. It was a unique time in American economic business history and those two books came at just the right time. How did you come up with the idea for 800-CEO-READ? It was being in the right place at the right time. I got a job at Schwartz. I got to meet David whose father owned the Harry W. Schwartz book shops. He was always a very progressive man and we hit it off. When he bought the business from his father in the early 70’s his father said, “You need to sell business technical and computer books.” We worked on it for probably 3 years until we started to get traction and it was basic one-on-one selling. I sold business books locally to corporate librarians. I got to know these people and built a business there. Then, we started a catalog in the late 80’s early 90’s called the Business Book Gazette and it gave us really nice growth. Amazon came along and took that away. We floundered around in the late 90’s and then started getting relationships with authors because they were having trouble getting their books out. We eventually developed a service organization that was able to supply authors with their books. In the meantime, we kept the marketing arm going that focuses on business books which continues to grow. How has your business changed since? We’re really a service organization now. We live in a huge warehouse with three loading docks and pallet tracks. We also do information driven blogs. We bring value to aspiring author by helping them get their product known. What’s the best bang for the buck that they can get? Because that is the thing that is constantly changing. Has promoting a book changed much for aspiring self-published authors? Today’s authors have a very tough road ahead because the industry has completely changed. Back when I started if you self-published, people thought your book was garbage. Now, Amazon and all the other offshoots offer authors a range of tools to promote and sell. But self-published authors on Amazon face the same issue: who’s going to buy the book? How many books are you going to sell? Will you make enough money that you’re not wasting your time? How will you promote beyond friends and family? Back then, there was also a huge out-of-pocket cost for the author whereas nowadays it’s significantly less across the board. There are significantly more options, but the cost is much lower. Do you think that it makes it even more challenging for authors, or do you think that it’s just the same challenge just with a different face? It runs into the same problem that they had back in the day. Take Michael Hammer (Reengineering the Corporation) who ran a marketing campaign by sending a copy free to Fortune 500 CEOs. In those days there was not a filter to keep those books from coming to the CEO because it was such a unique idea. The book took off. The book also had a compelling argument and he was on the cover of TIME. His marketing got him some traction, and the book became a national bestseller. With a compelling message, the freebie to the Fortune 500 would he have been successful? That wouldn’t work now because they have filters. There are now two or three levels from the mail room to the CEO that will send the book to the corporate library or the desk of someone who won’t buy the book anyway. I know this because part of what 800-CEO-READ does is the logistics, and many times an author has paid to have us do that. The only way that works is if you’ve got content within the organization, connections within the organization and you personalize a book to Joe Smith or Jane Smith. He or she gets the book because they know who you are. So the amount of energy an author has to pour selling a book like a product hasn’t changed? That’s exactly right and that is no different from what it was in ‘82, to what it is in 2016. It’s exactly the same. The way the product gets into the customer’s hands has changed, but ultimately it’s the author’s job. It’s very simple. If you can write garbage and have people buy it, you’re a success. If you can write War and Peace and nobody buys it, you’re a failure. It’s the selling of the product that’s important. Why did you and Todd write The 100 Best Business Books of All Time? Todd wanted to write a book and I had a name in the industry. He wrote a proposal and sent it to Penguin. 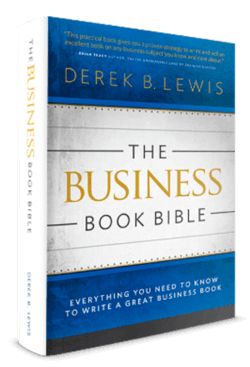 They thought it was convoluted and suggested we write a book called The 100 Best Business Books? We each made a list and 88 of them were the same titles, so we spent 52 weeks reading and reviewing 50 books. In the meantime, our whole crew worked on the “filler”, sidebars and the “Choose your own adventure” aspect of it. And a new edition is coming out? The third revised edition comes out in August and it’s a beautifully packaged book because we know what a good book looks like and we gave it to the publishers like that.